Alibaba founder Jack Ma famously professed that should the government desire, he would deliver Alipay to the state.1 He also said that because the state banks would not change on their own, Alipay would change them. What connects these two statements is the power that Ant Financial has accumulated by becoming an indispensable part of over 500 million citizens’ lives. It’s not beyond Jack Ma’s imagination that the overwhelming power of his private company would cause integration with the state to be inevitable. In fact, the time has come to deliver Alipay to the state. Yet surprisingly, Ant Financial will only hand over the only part of the business that likely shouldn’t belong to it anyway – the right to clear payments. This series of posts will examine the 2016 legislation that fundamentally altered the transaction process of mobile payments. This new process required Chinese mobile payment systems to pass all transactions through an online clearinghouse, somewhat similar to how ACH payments are processed by the Federal Reserve in the United States. To critics this has fundamental privacy concerns, but most recognize this is an overdue, much-needed overhaul that will level the playing field for payment providers and help alleviate financial risk embedded in the previous system, in which third-party payment providers managed the transaction from start to finish. To deeper understand the legislation that will be fully implemented in the coming months, it is first essential to gain a holistic understanding of the Ant Financial ecosystem, integration, and history. 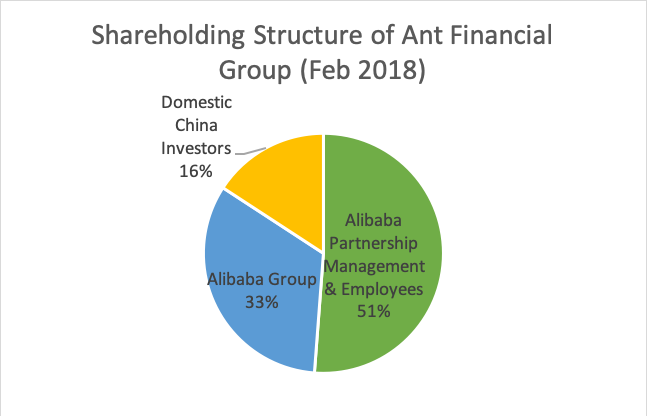 The first section of this paper, included in this blog post, will examine the state of Ant Financial, honing in on the Alipay ecosystem and its competition. Following this examination, I will shift my focus to the implementation and effects of the 2016 regulation. In a 2017 interview, Jack Ma stated very emphatically, “We have to step ahead of the regulators; we have to. Otherwise, we go nowhere.”2 This game of leapfrog between third-party payment applications and regulators has helped served the Chinese market by letting the market decide the future of finance. Chinese fintech has clearly benefited from the boldness of companies such as Ant Financial and Tencent setting bold paths ahead of regulators, but now that regulators are getting involved, it is beneficial for the future of competition, mobile payments, and Chinese financial markets. The introduction of PayPal to the west in 1998 addressed a number of longstanding e-commerce pain points. On the business end it did not make fiscal sense for small businesses to accept credit card payments, and was costly and time-consuming to build their own e-commerce checkout systems with fraud protection. On the consumer end, customers shared security concerns about sharing personal and financial information. PayPal’s early solution was an encrypted digital wallet that provided a convenient and secure payment method for consumers, and a ready-made checkout system for sellers. In western media, particularly 2014 and before, Alipay was often been compared to PayPal.5 However, while PayPal is still focused on the business of payment processing, Alipay has moved towards creating its own fintech ecosystem. This arrangement lasted until June 2010, when PBOC began issuing licensing regulations for third-party payment providers. This regulation stipulated that applicants for payment services licenses be a limited liability company or joint stock company legally incorporated in the PRC.10 Fearing that Alipay would not be licensed under Alibaba Group due to its foreign investment, Jack Ma decided to end the VIE structure and transfer the remaining 30% of Alipay to Zhejiang Alibaba. This enabled Alipay to get a payments license in 2011. When discussing regulation, I will discuss the controversy surrounding this move. While Alipay rose to prominence as an e-wallet and escrow service, its mobile application is best described as a consolidated fintech ecosystem. Beginning with Alipay 9.0 in July 2015, the app was designed to encourage daily usage as the ‘Swiss Army Knife’ of financial services. Users can transfer money to friends, scan QR codes, pay at restaurants, pay their credit cards, top-off their mobile phones, pay utility bills, or choose from a host of other options. Some of the other options include mini-programs that allow users to gain the functionality of additional apps without having to download software or creating new accounts. Also hosted within Alipay are Ant Financial’s other wealth management products including Yue Bao, Zhima Credit, and insurance. The following graphic illustrates the the growth of many of these products. One interesting dimension underneath these consolidated fintech ecosystems are the exclusive nature of mini-programs. In sectors with multiple competitors, the Alipay/Alibaba and Tencent will have strategic partnerships or invest specifically in one app in each select industry for competition purposes. By having diverse mini-programs with functions that range from calling taxis to ordering delivery, these ecosystems seek to raise user engagement and retention by penetrating many consumption scenarios. The following chart and graph illustrates how Ant Financial has been successful in growing highly engaged users in Alipay from 2013 to 2015. Key to understanding Alipay’s growth and potential is the market for mobile payments in China. China is well on its way to a cashless society; consumers use mobile payments at the rate of 200 times the United States. More than 14% of Chinese people do not carry any cash on a regular basis. Mobile payments are far-reaching across society, according to a Financial Times survey, 98.3% of urban consumers surveyed had used mobile payment methods over the last three months, with little variation across city tier or income level.16 According to iResearch, in Q2 2017 the market share of Alipay and Tenpay (WeChat) reached 54% and 40% respectively.17 This marks a significant shift from 2015, when Alipay controlled 68% of the market and Tenpay was a nascent 21%.18 However, as the first graph on this page indicates, the market has been rising at such a significant rate that both players are experiencing rapid gains. Despite the growth, substantial systemic risks do still exist. As Gartner acknowledged in November 2014, “China is doing well in the adoption of digital commerce. However, confusion around banking laws, labor laws, and privacy and security laws are proving to be the biggest issues in the adoption of digitalization.”21 In addition, the Ant Financial-Alibaba relationship has a number of embedded risks including increasing costs to Alipay such as fees charged by bank to process funds, changes to rules for payment card systems that link to Alipay, service outages, and failure to manage funds properly. Furthermore, commercial banks imposing limits on the amounts that can be transferred automatically with third-party payment services would be a huge detriment to the growing ecosystem.22While regulations in recent years have brought clarity to an emergent market, future regulation remains a point of discussion. Part of this reason is the facilitation of trust that has occurred since Alipay began with escrow. While in most developed countries consumers trust banks most to provide payment and banking services, China is unique in trusting these incumbent finance platforms far more than traditional banking services. Gartner research found that 40% trust Alipay and WeChat most for their banking services, while only 9% regard their bank as most trustworthy.23 Finally, the same research shows Alipay has a strong foundation to continue developing retail financial services; 68% of these participants would trust Alipay the most for any current account services, even those not currently provided by Alipay. The Alipay ecosystem is well-poised to lead Ant Financial into evolving into a leading global fintech company. 龙仔. “马云对话实录：王健林输定了.” 雷锋网, February 4, 2013. https://www.leiphone.com/news/201406/mayun-wjl-dialogue.html. Bloomberg TV Markets and Finance. Alibaba’s Jack Ma on Alipay, Tencent and Regulation, September 14, 2017. https://www.youtube.com/watch?v=DJlHqPqf6k8. Liu, Shiying., and Martha Avery. Alibaba: The inside Story behind Jack Ma and the Creation of the World’s Biggest Online Marketplace. 1st Collins ed. New York: Collins Business, 2009, 142. FlorCruz, Jaime, and Lucrezia Seu. “Internet in China, Twenty Years Later.” CNN. Accessed February 12, 2018. https://www.cnn.com/2014/04/23/world/asia/china-internet-20th-anniversary/index.html. Liu, Shiying., and Martha Avery. Alibaba: The inside Story behind Jack Ma and the Creation of the World’s Biggest Online Marketplace, 136. Hendrichs, Matthias. 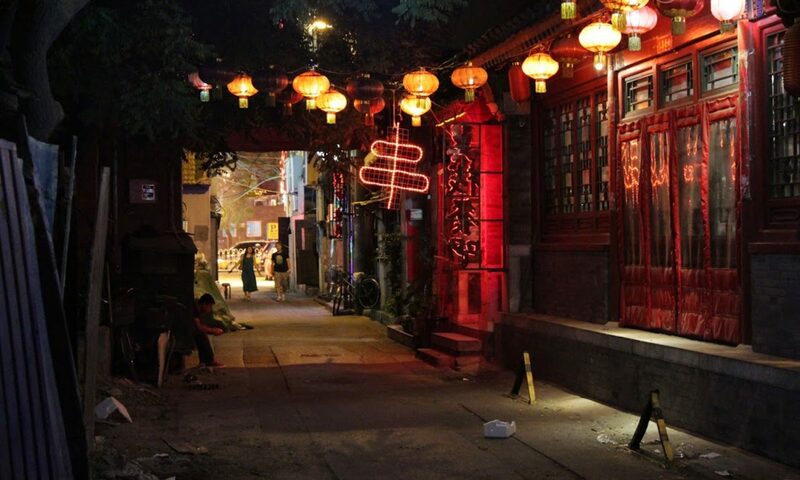 “Why Alipay Is More than Just the Chinese Equivalent of PayPal.” Tech in Asia, August 3, 2015. https://www.techinasia.com/talk/online-payment-provider-alipay-chinese-equivalent-paypal. Liu, Shiying., and Martha Avery. Alibaba: The inside Story behind Jack Ma and the Creation of the World’s Biggest Online Marketplace, 142-4. SoftBank invested 20 million in 2000; Yahoo invested 1 billion for 40% of Alibaba in 2005. See Shen, Wei. “Deconstructing the Myth of Alipay Drama—Repoliticizing Foreign Investment in the Telecommunications Sector in China.” Telecommunications Policy 36 (November 11, 2012): 931 for a graphic depicting this ownership structure. Shen, Wei. “Deconstructing the Myth of Alipay Drama—Repoliticizing Foreign Investment in the Telecommunications Sector in China.” Telecommunications Policy 36 (November 11, 2012): 932–3. Miller, Matthew. “Alibaba Restructures Alipay’s Parent, Jack Ma’s Share Reduced.” Reuters, November 1, 2013. https://www.reuters.com/article/net-us-alipay-parent-restructure/alibaba-restructures-alipays-parent-jack-mas-share-reduced-idUSBRE9A007620131101. Prior to the restructuring in 2013, Jack Ma owned roughly 80% of the predecessor to Ant Financial. Information from Ant Financial Investor Day.” Ant Financial, June 14, 2016. www.alibabagroup.com/en/ir/pdf/160614/12.pdf. “Ant Financial Investor Day 2017.” Ant Financial, June 8, 2017. http://www.alibabagroup.com/en/ir/pdf/170609/Ant_Financial-Financial_Services_for_Consumers_and_Small_Business.pdf. “Ant Financial Investor Day.” Ant Financial, June 14, 2016. www.alibabagroup.com/en/ir/pdf/160614/12.pdf. Equivalent data was not provided in the 2017 presentation. Wilder, David. “Urban China Leapfrogs Credit Cards on Route to Cashless Society.” Financial Times, May 20, 2016. https://www.ft.com/content/2588b356-1e97-11e6-b286-cddde55ca122. “​GMV of China’s Third-Party Payment Market Topped 27 Tn Yuan in Q2 2017.” iResearch, October 23, 2017. http://www.iresearchchina.com/content/details7_37999.html. China’s Third-Party Mobile Payment Market Shot up 69.7% in 2015.” iResearch, April 11, 2016. http://www.iresearchchina.com/content/details7_21238.html. Anavitarte, Luis, Annette Jump, Biswajeet Mahapatra, and Rajesh Kandaswamy. “Predicts 2015: Digital Transformation Is Imperative in Emerging Markets.” Gartner, November 26, 2014. https://www.gartner.com/document/2926217?ref=solrAll&refval=197895755&qid=19140808d921843c844a7624d8d48426. Alibaba Group 2016 Annual Report. May 18 2017, pg. 13-4. Uzureau, Christophe, and Alistair Newton. “Digital Payments Challenge Customers’ Trust in Banks.” Gartner, December 28, 2017. https://www.gartner.com/document/3840582?ref=solrAll&refval=198043396&qid=94ea6e03049fba37cbed96be. This breaks down to 27% ranking Alipay and 13% ranking WeChat most trustworthy.